When we look back on marketing communications – all the ways brands communicate with target customers – we realize that things haven’t changed much. Much of business history, at least in the US, dates back about 100 to 150 years. During that time business owners and marketers have stuck with a few basic principles of marketing communication. The first, and most important element, is finding a business model that is most profitable for the given situation. That’s a pursuit most business owners have as their main goal although it can be defined in different ways. Some want profit in the form of income for themselves. Others want profit in the form of non-profit donations for a cause. Others look to achieve financial freedom and once that’s achieved the exact amounts become less important. That principle of business remains the same and as a result business hasn’t changed in basic ways although it has changed in other ways. Let’s examine how marketing communications has changed over the last couple centuries and how certain things have remained the same. Finally, we’ll examine the role of business blogging in today’s marketing communications business strategy. Print was perhaps the biggest channel for marketing communication for many years in the first half of of the 1900s. Print communication came in lots of forms: fliers, banners, billboards, signs, catalogs, newspaper ads, etc. Two of the biggest companies in US history started out with print communication. LL Bean famously started his company by sending out small catalogs showcasing his new boot concept. he got something like 100 initial orders. He sent out the boots and received nearly all of them back as a result of a sewing flaw. He pushed through and today the company is one of the biggest outfitters in the world. Cabela’s started about a half century later when two brothers took out a small ad in a newspaper or magazine for their line of fishing lures. Today the company is huge and they’re still sending out print catalogs to customers along with using various other forms of marketing communication. With the rise of print also came the rise in over the air communication. I remember sitting with my grandpa in the kitchen. I can’t remember if it was morning or lunch, but we would sit there having a snack and he would turn on Paul Harvey. That man was the source of information for an entire generation and he expertly wove brand messages into his news updates. It was brilliant. 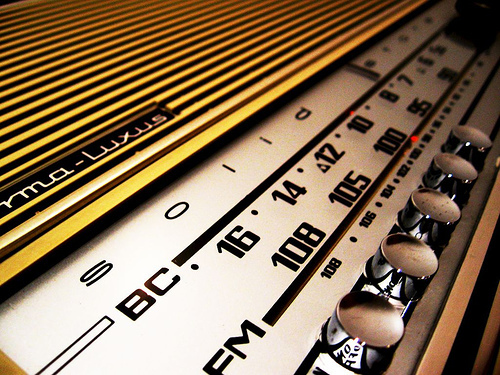 Radio and TV have been major players in marketing communication and the tactics really haven’t changed much over the years. What has changed in marketing communication is the introduction of new channels, mainly the Internet. Today, we get lots of information online. It’s harder in some ways for marketers to reach mass audiences like they could with TV and radio in the past when there were just a few channels and you knew everyone was listening to them. The Internet is much more segmented, but while there is some lack in mass marketing communication there is a great opportunity in targeted marketing communication. For some companies the mass approach works really well. For others, the targeted approach is a much better way to go. Something that’s important to remember as channels change is that channels are largely driven by age demographic. There are very few people over 60 using the Internet. However, if your target market is someone that’s 60 years old and using the Internet you can probably do quite well. Most customers over 40 years old will use traditional communication channels like print, TV and maybe a little email. Customers over 30 will use search, desktops and email. Customers under 30 will use smartphones, tablets and social media. For each of these you speak a little bit to the channel, but you speak mostly the language of your target customer. That’s the great thing about marketing. The channels change, but the content remains focused on the target customer. Don’t focus so much on statistics about mobile use and social media use. It’s not about the channel. It’s about the customer. The first principle of marketing is making profit. It’s the most important KPI (and arguably the only KPI) for any business. If you can figure out a way to get low cost customers to use your service or buy your products you’ll have a great business model. Marketing communication is usually a necessary part of this task. The second principle is understanding that the customer is most important piece of marketing communication. You need to figure out how to introduce your target customers to your brand and the products you offer. Companies have been doing this for centuries and the strategies really haven’t changed over the years. With print, TV and radio, companies were tasked with introducing their brand and product to new potential customers. There is usually something appealing done with the communication to pique initial interest. It might be a brightly colored ad in the paper or it might be an extremely loud and annoying TV commercial. There are lots of things that work to varying degrees of success. Once you have the attention of your target customer the goal is to earn their trust and eventually convince them to make a purchase. This can be a long process or a short one depending on the nature of your business. Marketing communication is present throughout this process and the aim of generating profit from a target customer hasn’t changed even though channels have. Blogging is one of today’s great forms of marketing communication. At GBW, the business blog works to get the interest of prospective customers. Our target customers often hear about business blogging. They go online and search for information about blogging. We provide that information with the blog. Those people discover the articles and thus discover GBW. People also hear about GBW through existing customers, which is more a result of the service and product you put out than a result of your marketing efforts. When people hear about GBW they start reading the blogs. The communication on the blog and on the site earns their trust. They see that we know what we’re talking about and they’ll reach out if they are interested in the service. The site, including the blog, work as an online salesperson for the company and by the time prospects contact us they’re pretty much ready to get started as a new customer. Marketing communication has seen changes in the channels people use to communicate. But what hasn’t changed is the focus on the customer. When you create content focused on your customer you can really hone in on the various stages of marketing communication and effectively bring new customers to your business. It’s the way marketing communication works today. And business blogging plays an important role for those with customers that use the Internet.